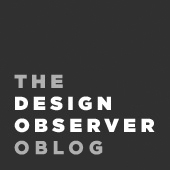 We look forward to John Foster's Accidental Mysteries posts on Design Observer each week, so we're glad to see that other people are loving them too. Judy Walgren, the San Francisco Chronicle's Director of Photography, spoke to John Foster about vernacular photography, building his photography collection and the age of digital photography. Foster quietly began collecting other people's snapshots, but it wasn't until 1998-2000 he became more consciously focused on uncovering what he refers to as "these 20th century artifacts," family photographs that embody a moment in time when, unbeknownst to the untrained photographer, the "photographic gods were all aligned."